This year, February 4th is the Pagan festival of Imbolc. This is a cross-quarter day; halfway between the winter solstice and spring equinox. The word "Imbolc" comes from an old Irish word "Oimelc" which means "ewes' milk" as this is the time of the first newborn spring lambs. We celebrate the awakening of spring, the first stirrings of Mother Earth and the growing power of the sun. This is a time of inspiration, purification and cleansing, and preparation for growth and renewal. Imbolc I wish all my readers Imbolc blessings! I celebrated yesterday by cleaning my windows to let the sun shine in. I started this a few days ago, as I'm not capable of cleaning all my windows in one go. I'm hoping to get the whole house spring-cleaned between now and Alban Eilir (Spring Equinox/Eostre). That's a very tall order, but I'd like to try. I shall be spring cleaning in both a physical and a spiritual way, using simple rituals to cleanse my home of any stagnant negative energy, such as ringing a bell in all the corners of my home and using incense and essential oils. I also made a Brigid's cross out of paper to hang at my front door to bestow seasonal blessings on all who pass through. 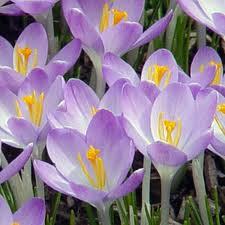 I chose those colours that best correspond to Imbolc for me: white, yellow, pale green and lilac. Tonight, I'm hoping to get out to an open ritual with all my local pagan friends, but my health isn't great, so I might have to do this on my own at home instead. I wanted to write a much more informative and interesting post on Imbolc, but I'm really not well enough and have struggled to write at all. Even this meagre post has taken me two days. So I apologise for that and ask you all to keep my in your thoughts and prayers. I felt very emotional yesterday and had no clue why.